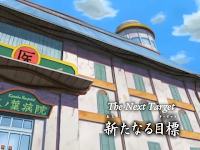 Here is the 33rd episode of naruto shippuuden series i.e "The Next Target". As the title indicates this episode is about the target assigned to our hero "Uzumaki Naruto" and his first meet of his old pals after two and half years. Overall the episode is very intersting. It is divided into two parts for ur convenience. English subbs are present.